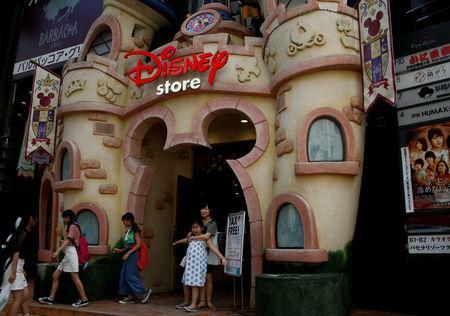 (Reuters) - Walt Disney Co <DIS.N> reported a quarterly profit that topped Wall Street estimates on Thursday, driven by summer crowds at the company's theme parks and big audiences for Marvel movie "Ant-Man and the Wasp." Shares of the company, which have gained nearly 8 percent this year, rose 1.7 percent in after-hours trading to $118(90 pounds). Disney is trying to transform itself into a broad-based digital entertainment company as ESPN and its networks lose viewers to Netflix Inc <NFLX.O>, Alphabet Inc's <GOOGL.O> YouTube and other streaming options. It is on the verge of gaining new film and television properties in a $71.3 billion purchase of assets from Twenty-First Century Fox Inc <FOXA.O>. The media networks unit, Disney's largest, reported a 4 percent year-over-year rise in operating income of $1.5 billion as broadcaster ABC saw higher program sales and fees from channel distributors. To counter that ongoing shift, Disney this year released a streaming service called ESPN+ with live college sports, documentaries and other programming that does not run on television. The company will launch in late 2019 a family entertainment service called Disney+ with movies and TV shows. Disney Chairman and Chief Executive Bob Iger announced https://www.starwars.com/news/cassian-andor-live-action-series-announced that Lucasfilm is developing a second Star Wars live-action series for Disney+, a prequel to "Rogue One" starring Diego Luna. Disney is also working on a live-action Marvel series for the new service about Thor's devious brother Loki, starring Tom Hiddleston. 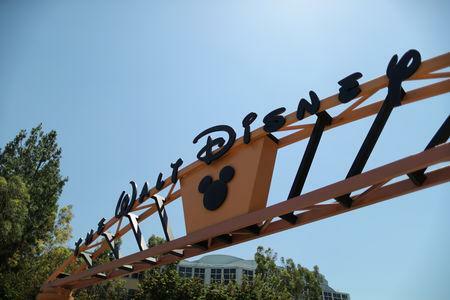 Disney+ could lift the company's stock if the streaming service can challenge Netflix and Amazon.com Inc <AMZN.O>, said Haris Anwar, senior analyst at global financial platform, Investing.com. “Disney's big beat on expectations is great news for the company which is getting ready to take on competitors in the video-streaming business who are taking away ad dollars and consumers," Anwar said. In the just-ended quarter, the theme parks division reported operating income of $829 million, an 11 percent increase from a year earlier, as guest attendance and spending at Disney's U.S. locations rose during the busy summer months. Profit at Disney's movie studio more than doubled to $596 million thanks to hits such as "Ant-Man and The Wasp" and "Incredibles 2." Overall revenue rose 12 percent to $14.3 billion, above analysts' average estimate of $13.73 billion. Net income climbed 33 percent to $2.3 billion.